I know. This isn’t bankruptcy. But it could lead you to bankruptcy, and it is pretty interesting financial news. This entry was posted in Utah Bankruptcy on December 22, 2017 by robertspaynelaw. I just received my order of discharge. Does my bankruptcy case close now? When you file your chapter 7 case, you are seeking a discharge of your debts. 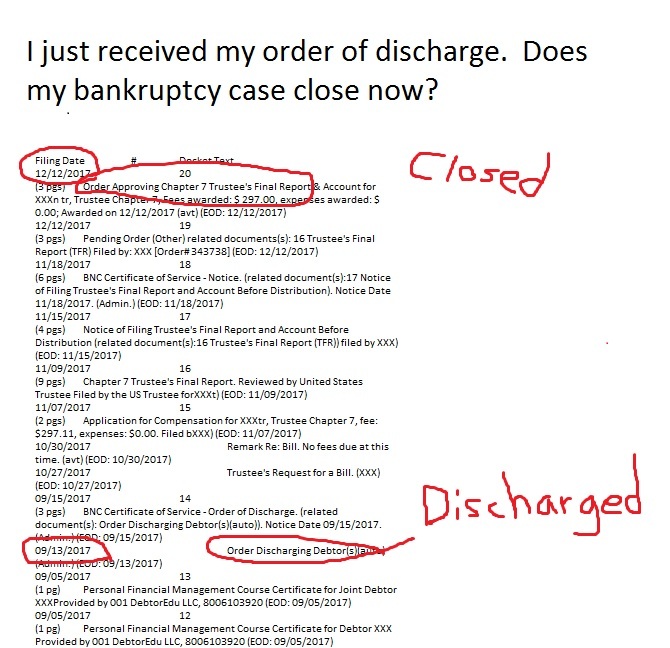 In most cases, you file the case, meet with the bk trustee a month later, take the second online class (the Debtor Education class), and then you get your discharge at the end of month 3. However, getting your discharge does NOT mean that your case automatically closes. Your case will not officially close out until the trustee files a final report in your case. 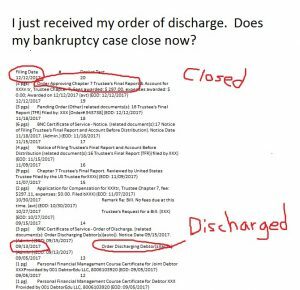 Generally, your case will close out that same month that you get your discharge. If you have assets worth collecting on (like an upcoming tax refund or too much equity in your home/car), then the bk trustee may keep the case open while he sells off the asset, sends a letter to your creditors, pays them off, and then files a report to close out the case. So you case should close out within a month of your discharge if you are a no asset case, but if you have assets for the bk trustee to sell off, it may stay open for up to 2 years. In these cases, you have something that the trustee wants to sell off and use to pay your creditors. These cases take longer because he needs to liquidate the asset, notify your creditors to file claims, review the claims, and file a report to pay them off and close out the case. This is a fairly complicated topic, and I’ll save it for another entry. However, it may take up to 2 years for your case to close out in this scenario. Your credit still starts rebounding once you get your discharge, but the case takes much, much longer to close out. For a teaser, here is an asset case where the Debtors received their discharge in September, but the case didn’t close out until December. 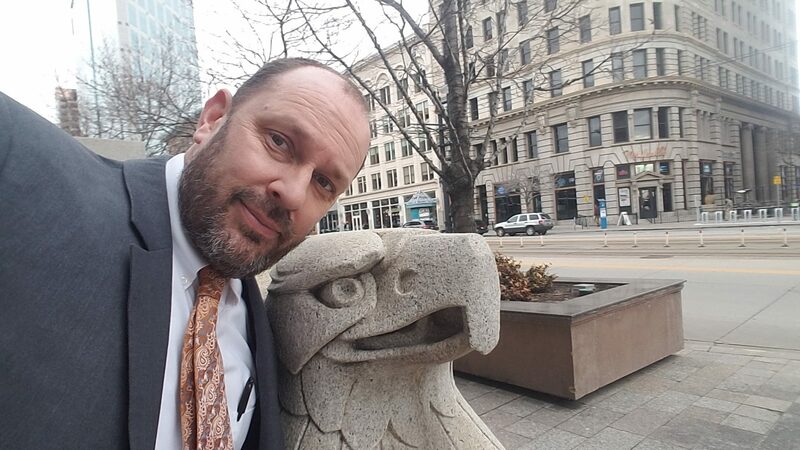 This entry was posted in Utah Bankruptcy on December 15, 2017 by robertspaynelaw.